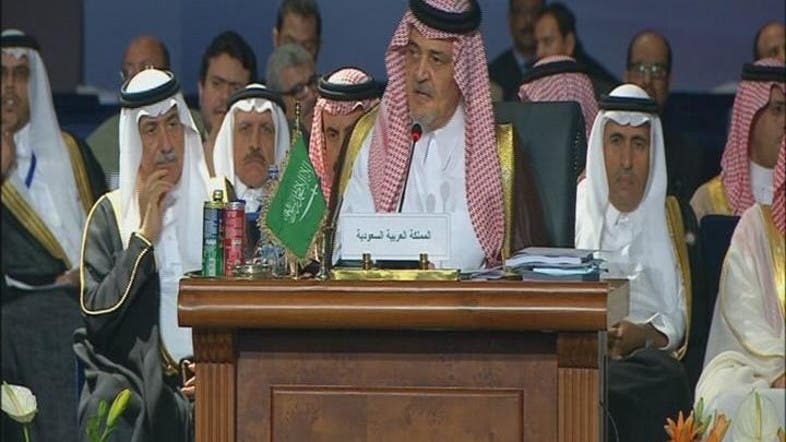 Saudi Foreign Minister Prince Saud al-Faisal said Sunday that Russia proposes a peaceful solution to the Syrian crisis while it continues to provide arms to the regime of President Bashar al-Assad. The Saudi foreign minister said Assad has “lost his legitimacy” as Russia continues to supply his government with arms that are killing the Syrian people. His statements over the Syrian crisis responded to a message sent earlier by Russian President Vladimir Putin to participants at the Arab League summit, held at Egypt's Red Sea resort of Sharm El Sheikh. In the message carried by the Russian Interfax news agency, Putin stated that he insists on settling the Syrian crisis peacefully and based on international law principles. Prince Saud al-Faisal said Russia is supplying Assad’s government with arms that are killing Syrian people.